Antoinette (Toni) Henry founded the The Health Center in 1979. 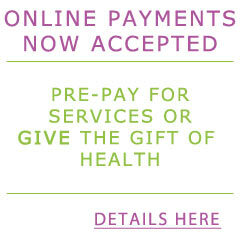 The Health Center was founded in 1979 as a center grounded in a holistic approach to wellness and health. "About 3 years ago I was diagnosed with arthritis and a deteriorated spine. I thought I would never take another step. Pain doctors didn't give me any relief. I resolved that I would be confined to a wheelchair or bed." Some friends recommended acupuncture from Toni Henry at The Health Center. I was skeptical but being as active as I am, I tried it. © 2010 The Health Center | Tampa, FL. About 3 years ago I was diagnosed with arthritis and a deteriorating spine. I thought I would never take another step and had resolved that I would be confined to a wheelchair or bed. Pain doctors didn't give me any relief. I resolved that I would be confined to a wheelchair or bed. Some friends recommended acupuncture from Toni Henry at The Health Center. I was skeptical but being as active as I am, I tried it. The contrast was remarkable, after the original set of treatments all of the pain was gone. I feel like a new person. Now when I get pain from overdoing a chore I get a booster treatment. I recommend Toni at the Health Center. It was a God-send to me.